If Christmas is the most wonderful time of the year, why do I want to find something sharp and pointy when The Santa Claus plays on an endless loop in my house all month long? Or how about when A Charlie Brown Christmas (which I think is great) gets shown just one time too many? Fact is, sometimes I find myself wanting something a little darker. 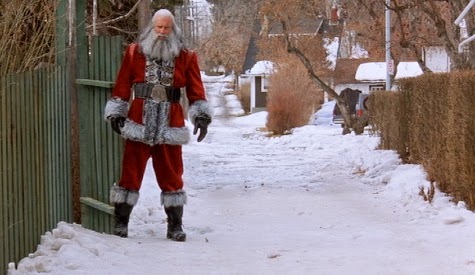 Enter Santa’s Slay, a low-budget horror/comedy from 2005 starring no one’s favorite football player and wrestler Bill Goldberg as the man in the red suit. The movie is the first and only film to be directed by David Steiman, who was Brett Ratner’s assistant on movies like Rush Hour 2 and Red Dragon. He was also a production assistant on Robert Zemeckis’ film Cast Away, so Steiman knows his way around a movie set and clearly has some big connections. More on that in just a bit. The premise of Santa’s Slay is that Satan caused a woman to immaculately conceive a baby, who was named Santa. Satan, Santa, see what they did there? I’m sure you’ve never heard that one before. Anyway, stay with me here: Christmas day was dedicated to slaying until the year 1005, when Santa lost a bet and was forced to deliver presents for the next millennium. We fast forward to 2005, when the thousand years have just ended and Santa is back to his homicidal ways. There’s a lot of recognizable faces in the regular cast Santa’s Slay, including Emilie de Ravin (Lost), Douglas Smith (HBO’s Big Love), and Dave Thomas (Strange Brew). 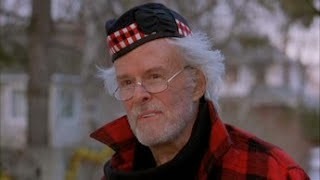 Robert Culp also has a prominent role, which I feel bad about. He was an extremely prolific actor that I have a lot of respect for and who appeared in practically every TV show made in the last 50 years, including The Outer Limits, I Spy and The Greatest American Hero. He’s always been an actor that I felt elevated whatever he was in and brought a touch of class and depth to whatever I watched him in. I can’t say that he does that here, especially since he plays a character as deep as a mud puddle and gets saddled with fart jokes. It doesn’t make me feel any better that this was one of his last screen roles. It’s the cameos that really surprise me. 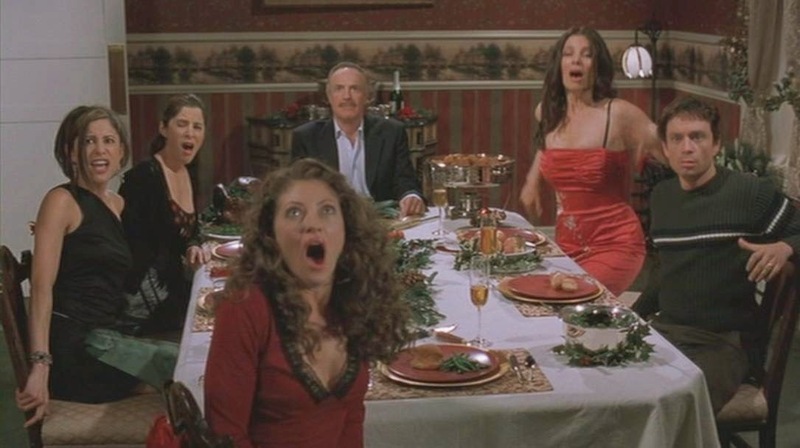 We get Rebecca Gayheart, Chris Kattan, Fran Drescher, and JAMES CAAN. That’s right: Sonny Corleone is in a B-movie about a killer Santa. Seeing such recognizable faces getting slaughtered by Goldberg—er…Santa-- really elevates this movie. Also, because David Steiman had a relationship with Brett Ratner, that director is the movie’s most prominent producer, and I can’t help but think that it was Ratner’s name that pushed this B-movie into a higher profile and got the film prominent distribution. Whatever your expectations are for the movie after reading this far, set them lower. Now set them lower again. In terms of aesthetic, it falls somewhere between a Troma production and a latter-day Full Moon production, and should appeal to fans of both of those companies. The important thing to keep in mind is that this movie knows is exactly what it wants to be. It knows it’s a bad movie; it strives to be. Movies like this are easily dismissed as disasters, but Santa’s Slay knows exactly what it is. In that sense, at least, it’s a success. I couldn’t find out the exact budget, but it was apparently VERY low. There are chase scenes that are filmed in tight close-ups because they didn’t have the money to shoot long, elaborate stunts. Rather than drive a sleigh drawn by eight reindeer, this Santa’s ride is pulled by one massive “hell deer.” However, the cinematography makes excellent use of the Canadian shooting locations, which provide tons of free production value, and the movie is wise to play to its other strong suits as well, like ridiculous violence and creative kills. 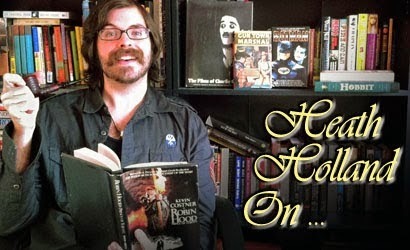 Without spoiling the fun, I’ll assure you that there are a couple of slasher kills that I’ve never seen before. Ultimately, there’s a ton of room for exploration of themes that the filmmakers simply didn’t pursue. The concept of the movie and the origin of this killer Santa are mostly breezed over, implying either a really tight production schedule or a lack of focus. I know that the movie is mostly about getting mileage out of seeing Santa Claus wiping people out at Christmas, but I can’t help but feel that the basic premise could have been fleshed out a little bit more, and I would have liked to have seen more flashback material and more time building the myth itself. Complaints like that hardly register with a movie that relishes silliness like this one, though, and I imagine Steiman made exactly the movie that he set out to make: a horror/comedy about Christmas with a large body count, made by a predominantly Jewish cast and crew. And at 77 minutes, it’s a breezy experience that is mostly concerned with moving as quickly as possible. I can’t say I blame it. Santa’s Slay is not for everyone, and I suspect you already know if it’s your cup of tea or not. The production budget is almost nonexistent, Goldberg’s acting leaves much to be desired, and the movie barely has time to explore the plot that drives it from point A to B. Yet it somehow really hits the spot when viewed under the right circumstances and works as great counter-programming when you’ve had enough of those saccharine yuletide offerings. It’s currently available for rent or purchase on Amazon Instant, but also on YouTube in its entirety. You've never seen somebody killed by a menorah? I almost love this movie in an unironic way. It's about as good as a movie like this can be. This movie has been in my subconscious for a few years, like something in a half-remembered dream. I think I saw it played as the backdrop in a YouTube video for an Alice Cooper song...I'll have to look back into that. 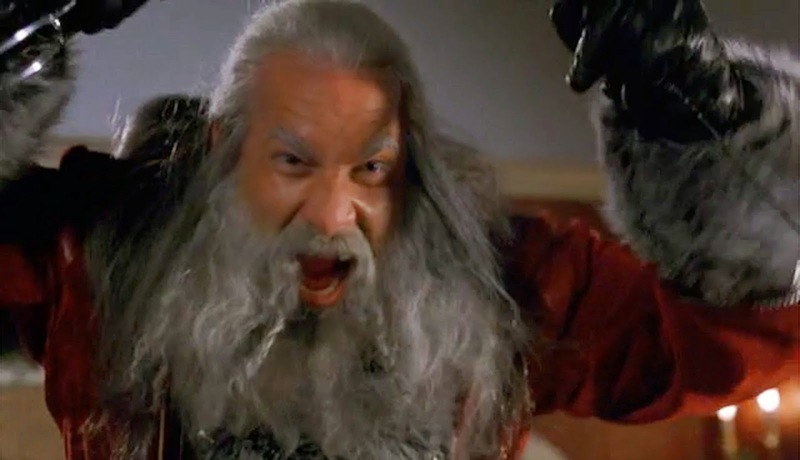 I'd just totally forgotten the name and anything about it except Goldberg is Santa and he's killing lots of people. Now that I have a better idea what I'm dealing with, I may have to give it a chance. It does peak early, with all those cameos and the turkey leg, but it's still really dumb fun. Cheers to you, Dennis. Merry Christmas from the Six H's.